This scenery is directly distributed with the v16.6601 of Outerra. 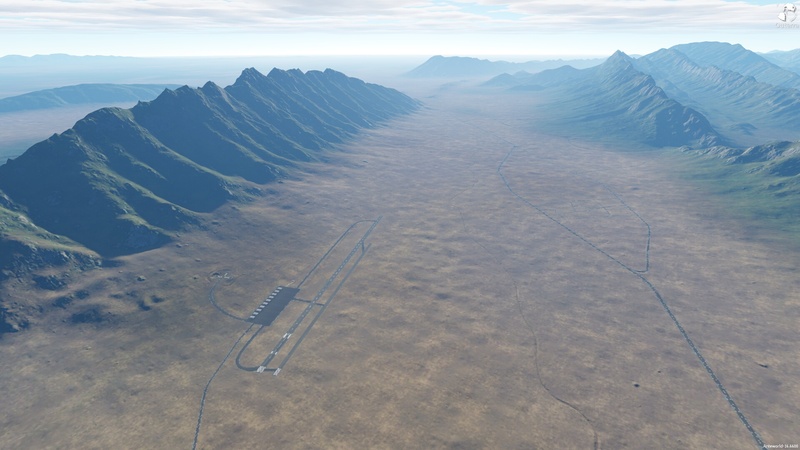 You can access it inside earth2 (30/76 SRTM), with the cam_pos "Monterrey - Airport 1". 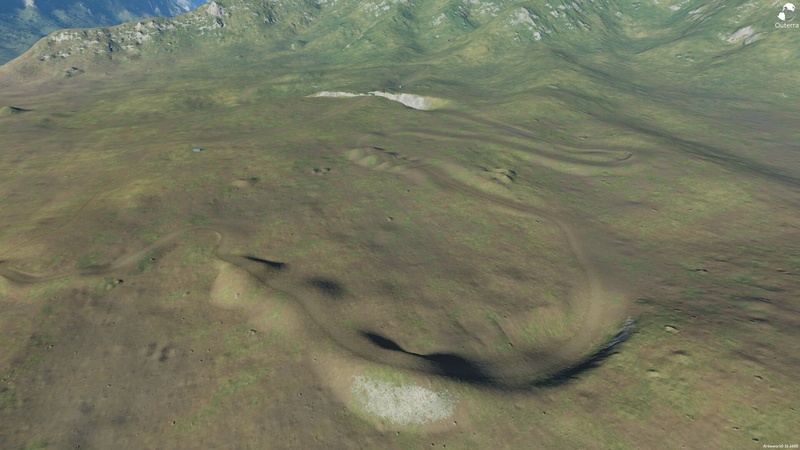 The location was discovered by Cameni, it's a really good example of the quality and detail the new dataset add to the engine. 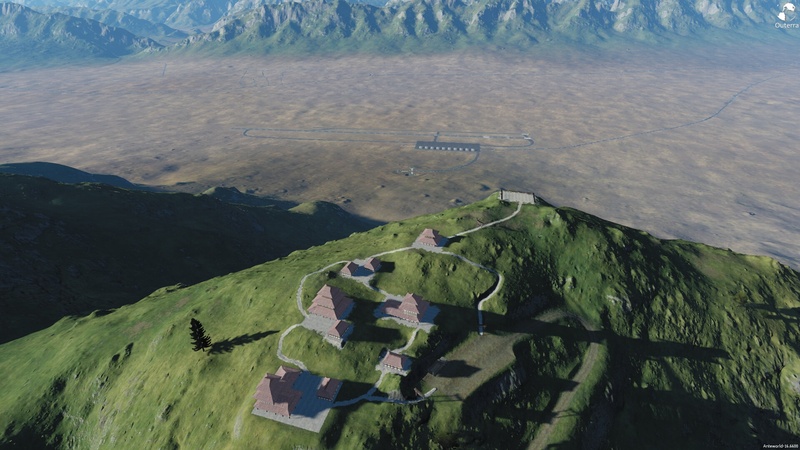 Monterrey is located in Mexico, the city was too large to be done by hand but this scenery is not entirely fictional, some elements are using real locations. This post will mostly be a little guide of the area, there are several little things to see. This airport is the start location, in the exact location of the real city. 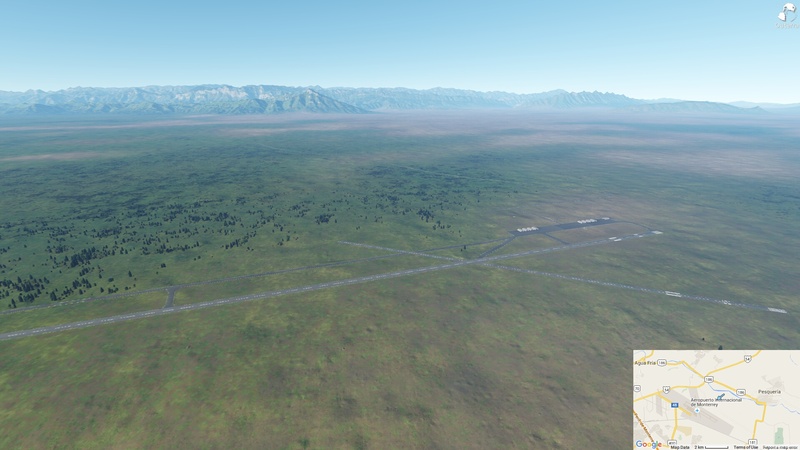 Two runways, it's a simple start point near the nice young mountains of the surroundings. 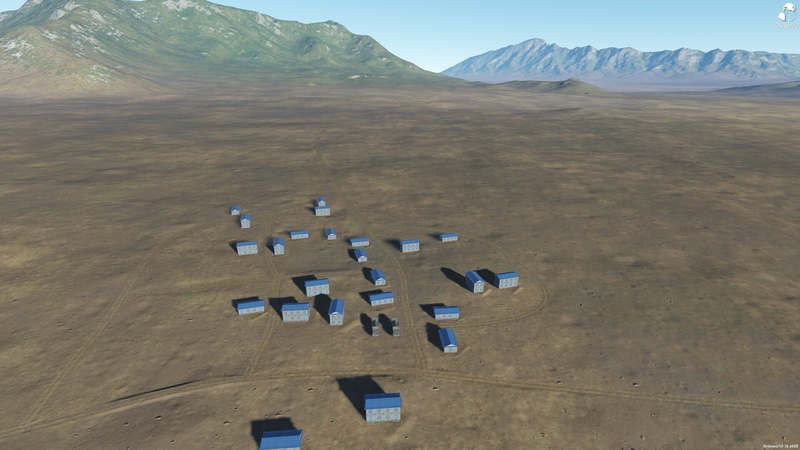 Really close, to the west of the airport, you will find this small village (25.712318, -100.539891). Two dirt roads are going from this village to the two next locations, and I really recommend to jump into a Truck to visit those, especially the Vulture Nest temple. This test track was tested with the Tartra. If you can't reach the end, you should feel ashamed. Where there any differences between working with Earth one and Earth two? It Seems That We Here Went To Earth 2.0 much faster that the guys at NASA HAHA ! Lol ! Thank you Acetone. Always being the boss in the sceneries creation job and spend time for all. ops. I didnt see Talkeetna either.. I will now. Switzerland (Tallard, Gap and all) is pure love with this dataset.. And also Himalayas. Its a long, dangerous drive........ Acetone is evil! So does this mean that all the previous sceneries are erased after I updated to this new release of earth 2.0 ? And that I might need to reinstall them all again ? I did notice that checkbox and wondered about it. Glad I switched it to yes!